It’s Expressions Vinyl Ambassador Challenge time again! 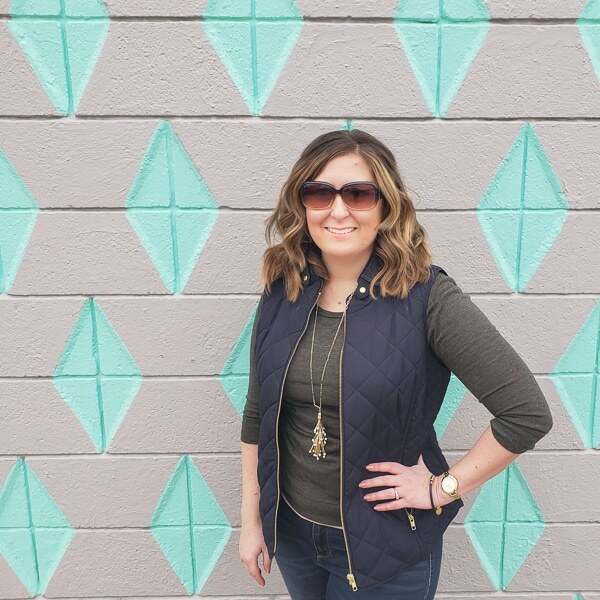 If you haven’t seen my prior posts, each month Expressions Vinyl picks a theme for several bloggers and challenges us to create something fun. They also throw in a gift card for $100 at their online store – how much fun would that be to win?!? You can find the giveaway at the bottom on this post. Both the gift card and this post are sponsored by Expressions Vinyl, but all opinions and ideas are my own. See my full disclosure policy here. I’m guessing you already figured it out, but the theme for this month was Halloween. I’ve mentioned before that I’m a scaredy cat, so I wanted to make my project more autumn-y. I started off with a piece of scrap wood leftover from my Statue of Liberty project. You could adapt this project to fit whatever size wood you had available. I wanted to distress the wood, but there was not a method to my madness. I wasn’t actually 100% committed to this idea, so I didn’t even take pictures of the wood in various stages. First I sanded the edges to make them rounded. Then I sprayed the whole board with a dark oil rubbed bronze finish. I waited 10 or 15 minutes, then did some sanding. I thought I had messed it up because in some spots the wood was showing through! I added a full layer of gold paint, then sanded some more. It still wasn’t right. I ended up doing two layers of gold, and two layers of the dark paint. I never waited for the paint to dry completely before sanding, so I was done in 30-45 minutes. The board looks like it’s been aged for decades! I’m totally obsessed with it. When I was happy with my board, it was time to add the vinyl. 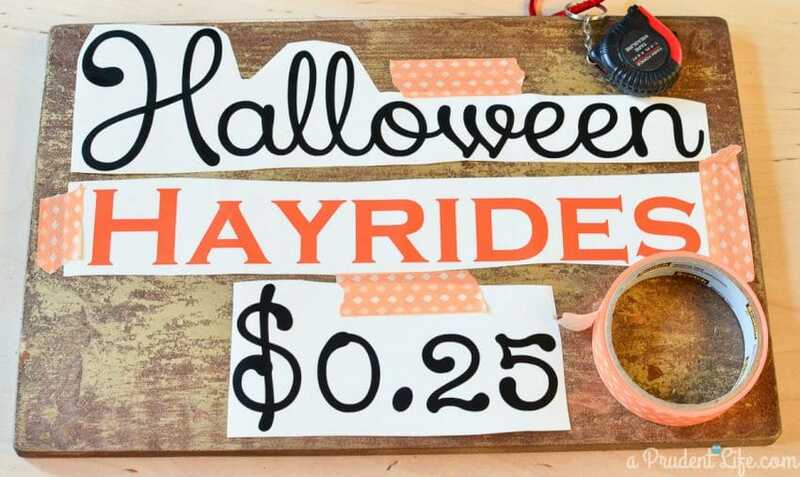 I decided to make a “Halloween Hayride” sign and typed up my phrase in Silhouette Studio. 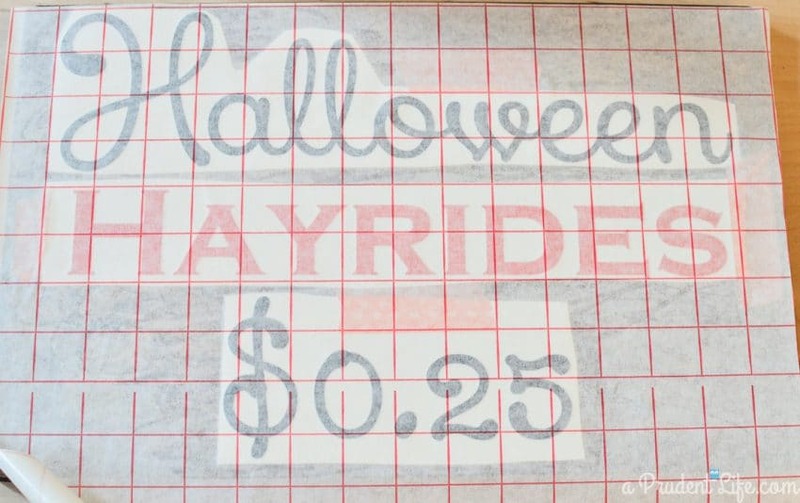 After playing with fonts, I decided on Xiomara as the font for the “Halloween” & “$0.25” and Copperplate Gothic Bold for the “Hayrides” portion. If you don’t have Xiomara, you can find it for free on dafont.com. 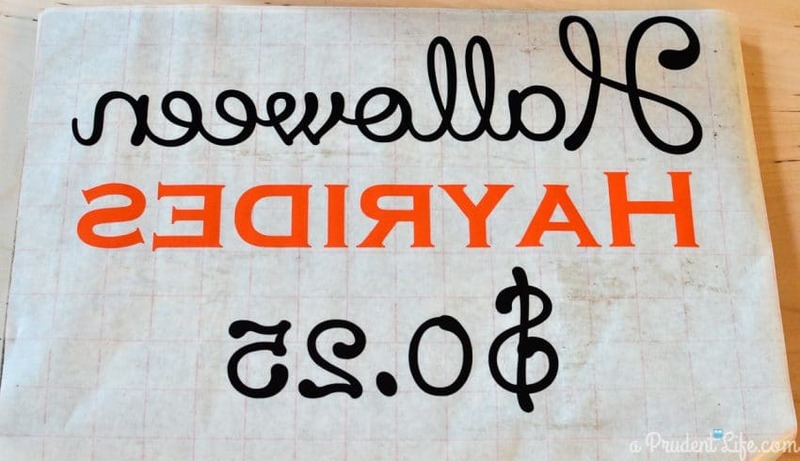 Fair warning, you can spend HOURS browsing all the fabulous fonts at DaFont. It’s a time sucker for sure! To make sure I applied my lettering straight & even, I taped each piece of vinyl to the board exactly where I wanted them to end up. As you can see above, I taped them with the backing still attached. Next I applied one big piece of transfer paper over the entire design at once. When I pulled the transfer paper up, I had one big design to apply instead of the three smaller pieces I started with. It was so much easier to apply the full design at once! The last step was styling my mantel with my new sign. 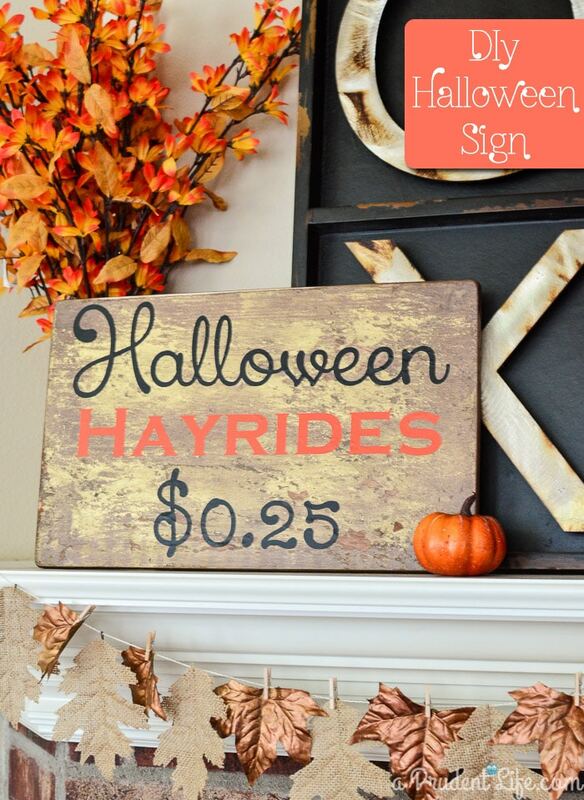 My new passtime is sitting on the couch staring at my hayride sign and smiling. OH how I NEED to win this!!! So many projects to do for the holidays! My favorite monster would have to be little ghosts, they are so cute to decorate with! Thanks for the chance, shared everywhere!!!!! Thanks for sharing Darla! Little white vinyl ghosts would be so cute everywhere! I love the sign! Your detailed description of distressing the wood is a bit daunting (sounds so involved) but the outcome is fantastic. I’m going out to the garage to look for some scrap lumber now. Don’t be daunted, it was really just spray paint, sand, spray paint, sand until you have something that looks cool. I had no idea what I was doing. Don’t be alarmed if it looks awful for awhile. 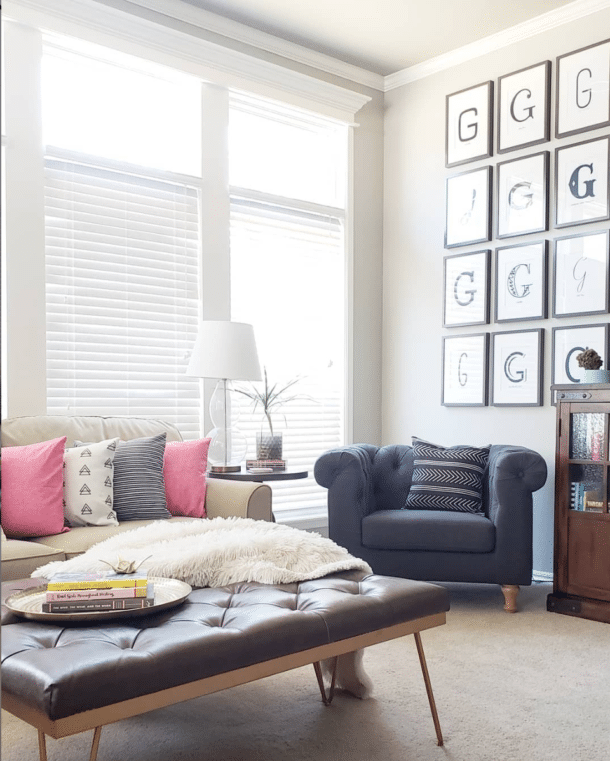 Just keep layering until you are happy! Definitely need to replenish my vinyl stash to be ready for holiday projects and gifts! Casper is a favorite in our house along with Dracula & Frankenstein! I LOVE the sign and how you aged it!!! All these projects are just too cute! I agree Camille! I was oohing and awing over every project! 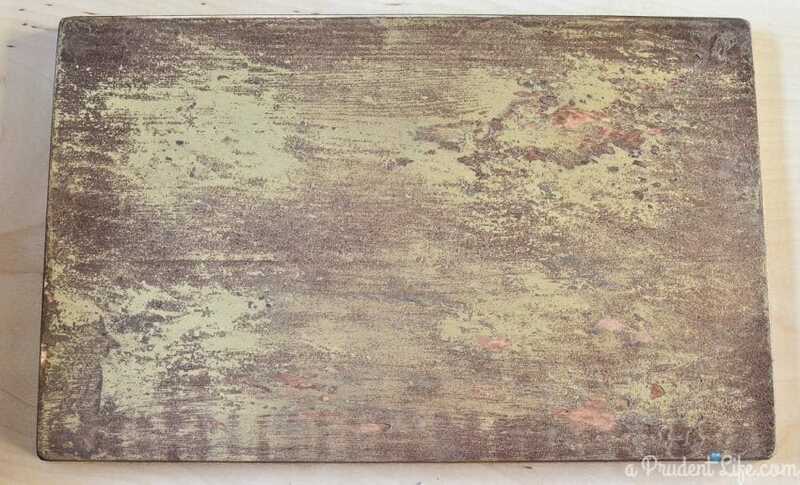 I just love what you did with that board…it looks so authentically old. Such a cute project! Thank you Julie! It was pure luck that it came out that well, but I’m definitely going to see if I can recreate it for more projects. Melissa this sign is awesome!! You did a fabulous job with it, I made sure to sign up for the giveaway. I could totally use it!! Melissa, I LOOOOVE this! Um I think I need to get one of these machines, it looks so easy and pretty! I’m totally making a sign like this!!! LOVE it!! Ghosts and witches!! Love the distressed look of this. 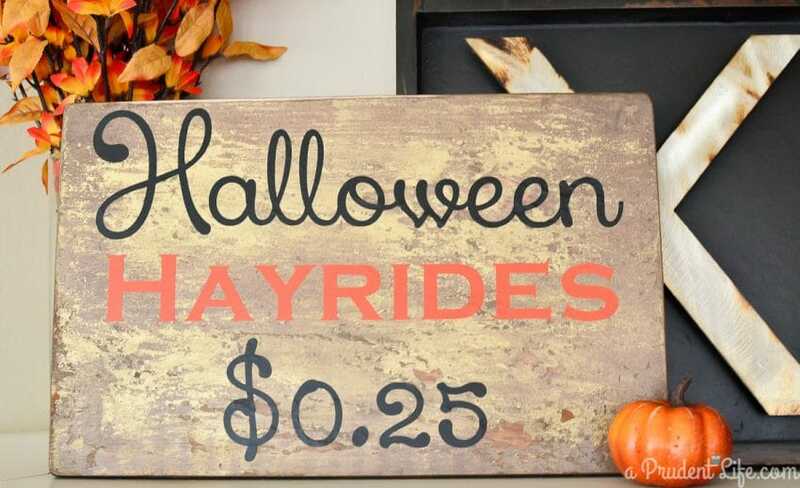 I am just about to make a hayride sign for my mantel 🙂 Favorite Halloween monster is a vampire! I love how the background turned out!! LOVE it!! I love this sign! I am a huge fan of vinyl!